NEW!!!!! This is a spray that helps to make it easier to get on wetsuits. It also prevents chafing from swim suits, running shirts and shorts, even fins that cause sore feet. Great for any sport and easy to use. Comes in an 8 oz. spray can. It is non alergenic and you will love this product so much, you'll definitely want to order more once you have tried it.
) BODYGLIDE®. Use BODYGLIDE® for protection before activity  and to soothe and moisturize skin after activity. Its long-lasting, waterproof, hypoallergenic, and it does not contain petroleum. BODYGLIDE® products are non-messy, non-sticky, and non-oily. They penetrate the skin to create a comfortable barrier against friction and moisture. Nothing  not petroleum jelly, creams or lotions - can compare with the feeling and effectiveness of BODYGLIDE®.
) In addition to protection against burning, hot spots, or blisters  as you add on miles, our BODYGLIDE® products will give you protection anywhere your skin is rubbed the wrong way. Use BODYGLIDE® to protect you where your skin is rubbed by your clothing  or by skin itself (around your thighs, or perhaps where your arm brushes your torso)  and anywhere straps (bras) cut, dig or bind your skin. And for protection against the sun without having to use two products or more, we make BODYGLIDE® SPF 25. Before and after you walk, you may benefit from the warm effects of our WarmFX. It warms-up muscles and stimulates circulation before you start  and after you finish, it provides long-lasting soothing relief for sore muscles. This body wash comes in an 8 0z. 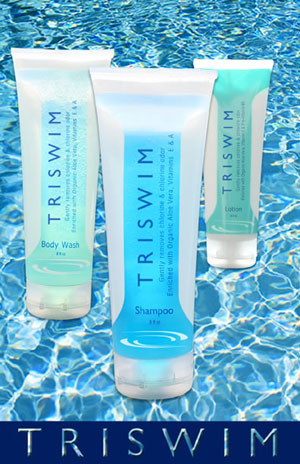 tube that stads on its cap for great convenience in the shower and for travel to and from the pool. It has a citrus smell which is great for both male and female swimmers. It really takes out all the chlrine smell from the skin, leaving it soft with a nice glow to the skin. You'll love this product. 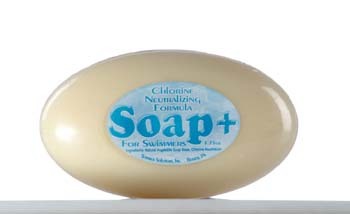 Chlorine neutralizing soap for swimmers. The clean citrus smell of this lotion makes it desirable for men as well as women. It takes out all the clorine or salt water smell while replenishing all the moisture the chemicals and sea water deplete from your skin. Try it once and you'll be sure to come back for more. Try our body wash and shampoo with the same fresh citrus fragrance @ the same low price. This is an 8 oz. tube.